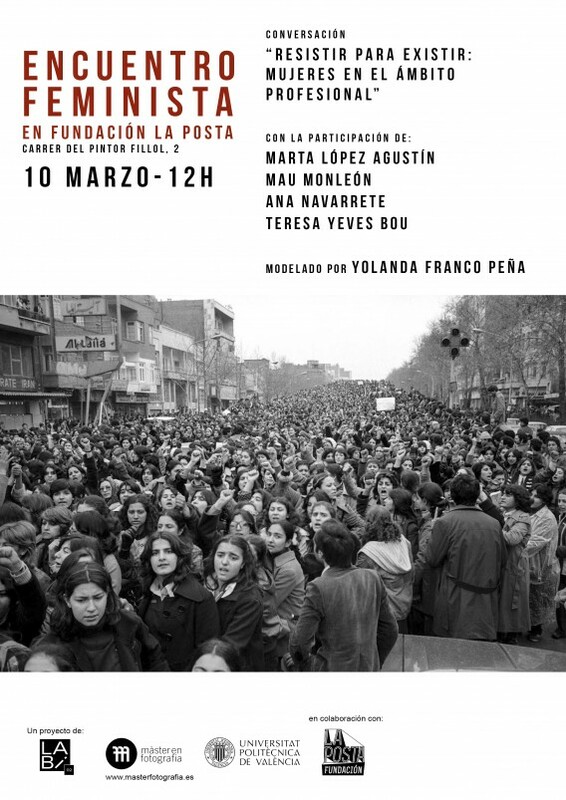 Next Saturday, March 10 at 12:00h will take place the meeting “Resist to exist: women in the professional field”, organized by LABi 02 (Laboratory of thought, creation and dissemination of the image), a project of the Master in Photography, Art and Technique of the Polytechnic University of Valencia in collaboration with La Posta Foundation. The objective of the feminist meeting is to bring together four professional women from the Valencian environment. The speakers Marta López Agustín, Mau Monleón, Ana Navarrete and Teresa Yeves Bou belong to different professional areas, from the scientific field, through the artistic field to the social sciences. In these conversations will be presented ideas, concepts and experiences that, in spite of being executed from different professional fields, all will have something in common: in the world of the professional woman it is necessary to resist to exist. Ana Navarrete: Teacher, artist and researcher, she has written essays about feminisms, movements and social problems such as gender violence. Marta López Agustín: Medical Specialist in Neurorehabilitation at the Dr. Moliner Hospital, in the Brain Injury Unit, and in outpatient osteo-muscular and pain consultations.